AT&T Inc. is an American multinational telecommunications conglomerate, headquartered at Whitacre Tower in downtown Dallas, Texas. 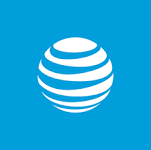 AT&T is the world's largest telecommunications company. 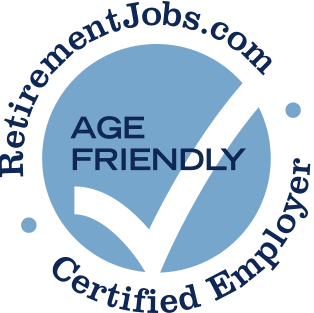 AT&T has posted job openings with RetirementJobs.com in the past, which means it has actively sought to hire and retain age 50+ workers. Please click the 'View Job Listings' link above to view active jobs, if any, posted on our site. I worked in HR for 24 years. End part was in Employment. We hardly ever hired anyone born in the 50's. I watched as other subs got rid of people in their 50s as did other companies. Our CEO actually came in and said that half of Yellow Pages people were eligible for retirement and he wanted them to take it. He wanted younger people who could keep up with technology. Like we hadn't been doing that for years. They cut 6 positions of people who had the same job title as myself. I turned 58 on Monday and my last day at work was Tuesday. I was the oldest. YP had to separate from AT&T in 1984. That is why so many people were eligible for retirement. Not that it would be a great retirement package but better than nothing. There is not Yellow Pages anymore. They sent most of the jobs to India and Puerto Rico. They got rid of most of the people in the US. I know that one reason a director didn't want to hire someone because of his age. He felt like he would only do the minimum job as a retirement job. I was 55 when this employer laid me off (right before Christmas). They only job they offered to me was one I was totally not qualified for. Worked there for 1.5 years...have anecdotal examples of them being "unfriendly" to Over 50s and would bet that statistics would bear this out. The company's middle to executive management is age 50-60. Ages 60 and above, there is a not-so-subtle move to eliminate these from the workforce unless one has talents/knowledge beneficial to a current project. I feel like my office was closed because most of the workers were over 50 and unfortunately a lot of my co-workers knew that if they did not work we would get a good package. This hurt those of us who were working hard and wanted to keep working. I was hired in a tech position at 54, and promoted at 56, currently at two + years in management at 58. I have been working at AT&T full-time (More than 10 years) I have had the opportunity to work on cutting edge technologies. Support for women in technical leadership roles. Pride in diversity & inclusion with 12 Employee Resource Groups with 40k+ members. Great benefits including 4+ weeks vacation, 6% salary match of 401k, paid maternity/paternity leave, financial support for adoption. Flexibility to work from home or office in newly renovated collaboration. I love working here! Just a great place to work, fair, good pay, great medical and had I didn’t have problems with my health, I would definitely still be working there today. That is of course everything were to remain with the same format of the working environment.